Hill Top house and the Beatrix Potter Gallery National Trust Team: Anyone for a spot of Galanthophilia? Anyone for a spot of Galanthophilia? To me, it still seems like the middle of winter. The snow we had last week has just melted, and as I write this an icy northerly wind is whistling under the office door and I'm starting to lose the feeling in my fingers. Even the hardy Herdwick sheep are heading for the shelter of the nearest dry-stone wall. It comes as something of a shock then, to realise that Hill Top house, shop and garden will be open to the public in just a week. 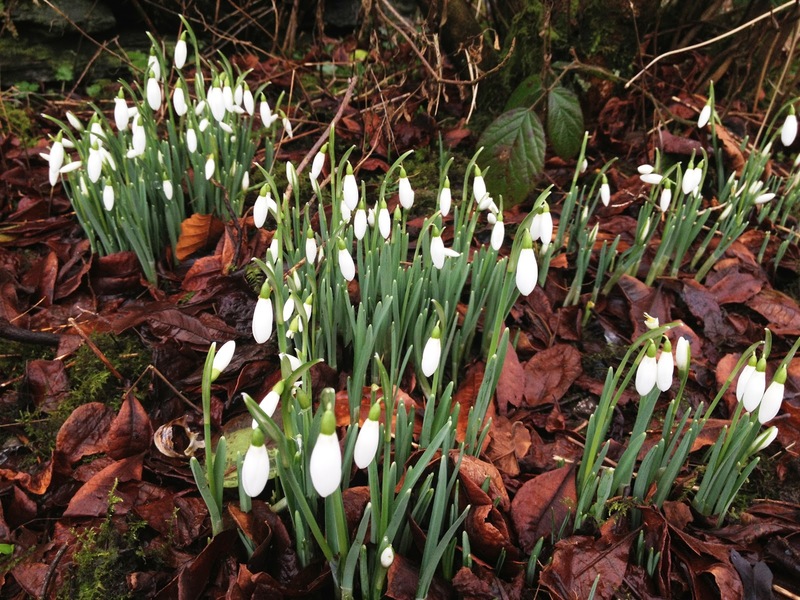 To the casual observer, there's not much happening in the garden at the moment, but if you look carefully there are signs that spring is, if not 'just around the corner' at least in the right postcode. 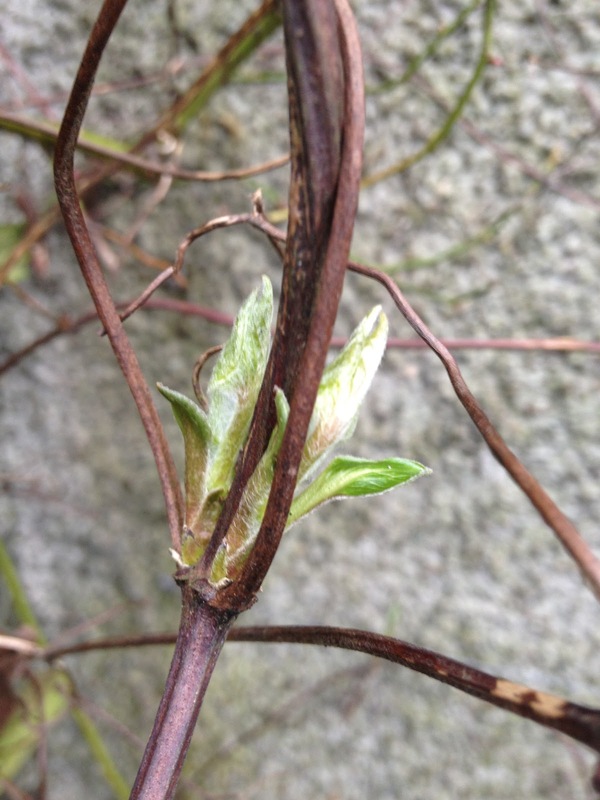 The Clematis 'Perle d'Azur' I was pruning this morning had already produced fat buds just waiting to burst into life and I felt a little guilty as I cut them all off, along with most of last years growth (that's how you prune 'group 3' Clematis unless you want them to turn into a straggly mess). The climbing rose next to it also had some nice buds but I left most of those on, instead cutting some of the older stems right to the ground to encourage new shoots. ﻿ Flower-wise, the Viburnum tinus which has been blooming for most of the winter has just about finished, (being squashed by a falling snow-covered branch from the Scot's pine above it probably didn't help) but the primulas have produced their first few straggly flowers and the snowdrops are busy doing their thing. Snowdrops, or Galanthus nivalis to give them their fancy name (it means 'milk flower' in Greek), are thought to have been introduced into Britain in the 16th Century. Being somewhat promiscuous there are now numerous hybrids and over 500 recognised cultivars. This wide variety of different forms has made them very popular with collectors or 'Galanthophiles' as they are known, and especially rare bulbs have been known to change hands for hundreds of pounds! ﻿﻿ Being woodland plants, snowdrops like a moist but well drained soil with lots of organic matter, and a sunny or partially shaded site. It is important that the soil doesn't dry out in summer (not much chance of that up here)! When clumps get overcrowded they can be dug up and divided into smaller groups when flowering is over and the leaves are turning yellow. Each bulb produces just one flower and when the temperature reaches 10°C the petals open and give off a honey-like scent to attract pollinating insects which have become active in the warmer temperatures. Because the flowers hang downwards we never really see the beautiful green markings on the inner petals, so next time you see a clump of snowdrops and it's over 10°C get down and have a proper look and a sniff, it might turn you into a Galanthophile! National Trust gardens with great snowdrop displays include Dunham Massey, Fountains Abbey, Newark Park, Attingham Park and Chirk Castle amongst many others. Words and pictures by Pete the Gardener.